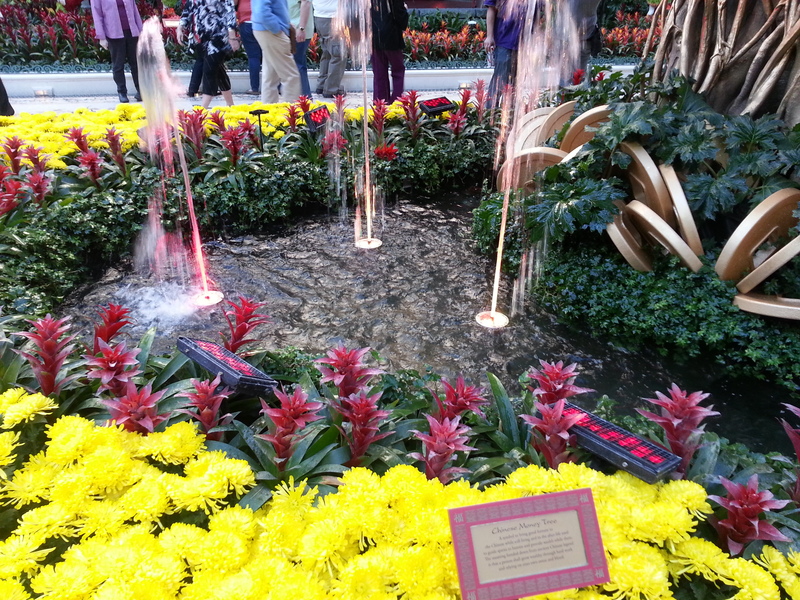 I’ve visited twice, ten months ago and today. 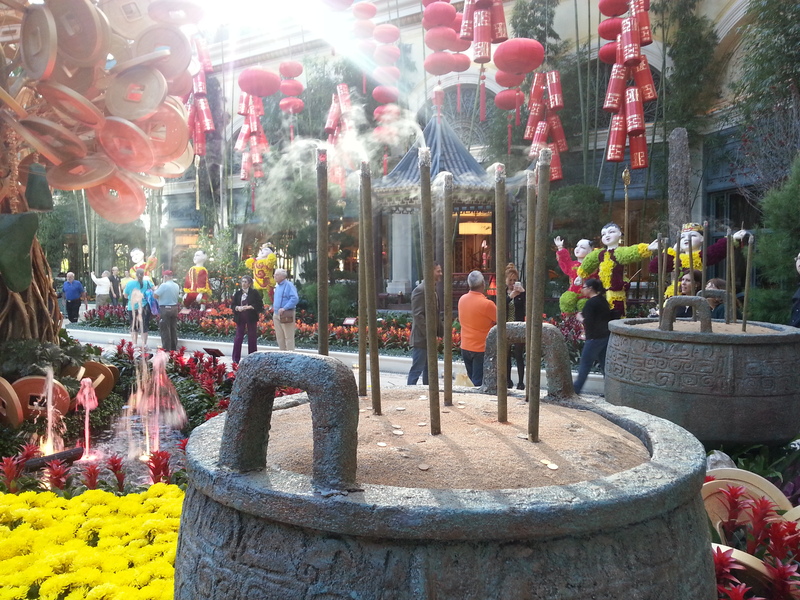 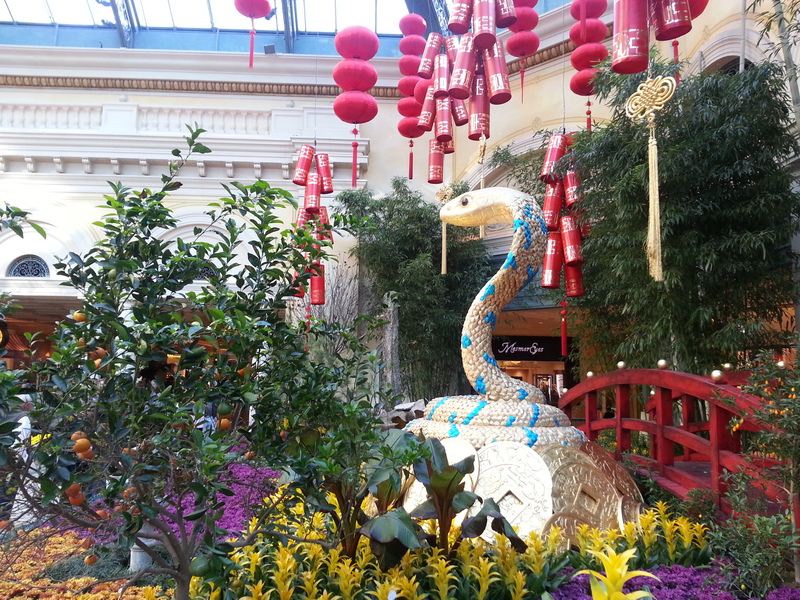 They create mesmerizing themes five times a year, one for each season and the Chinese New Year. 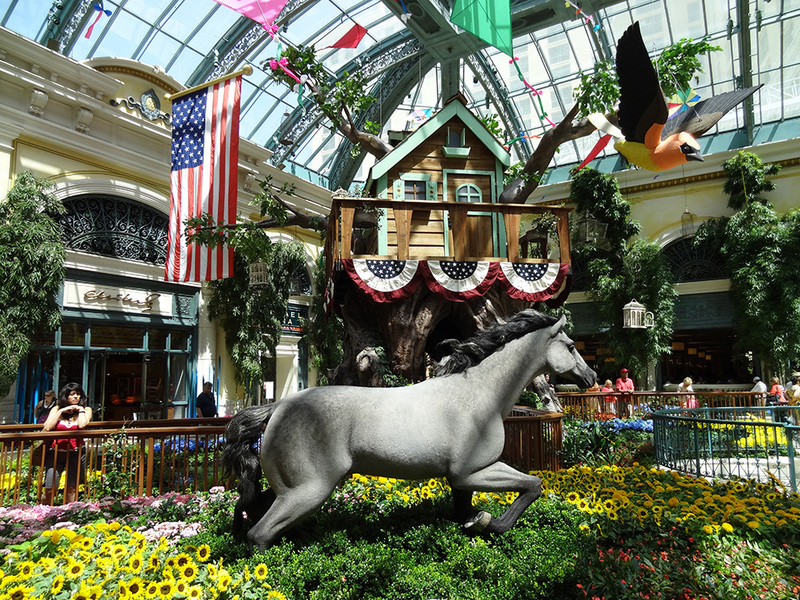 This activity is a delight for all ages, and here’s something you don’t hear often in Vegas: it’s free. 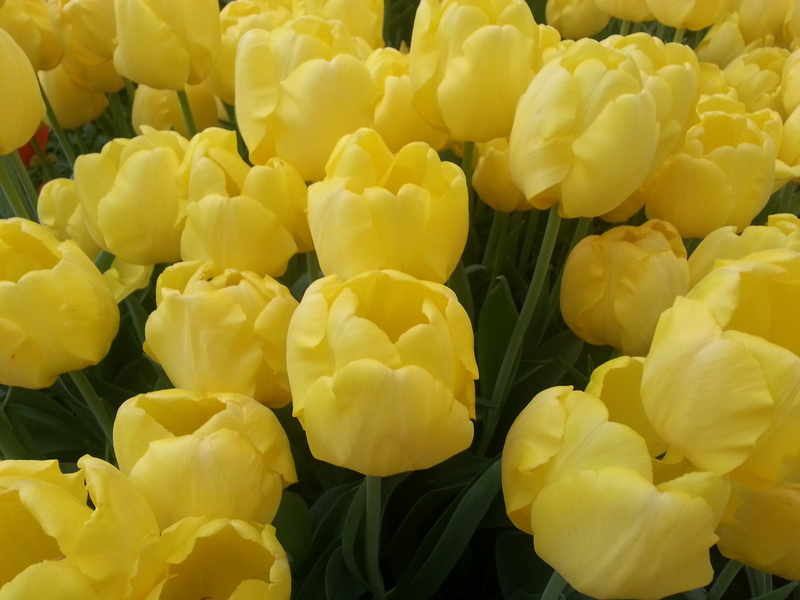 The first time I walked in, the fresh, fragrant air of a thousand tulips invigorated my nostrils and lungs. 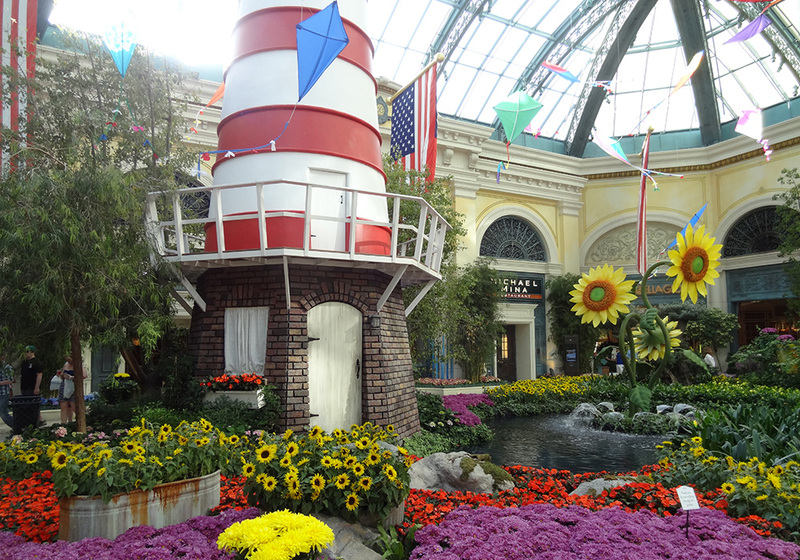 The theatrical windmill, paper mache swans, rippling pond, carousel, footbridge, and various flowers in bloom created the illusion of fairy tale. 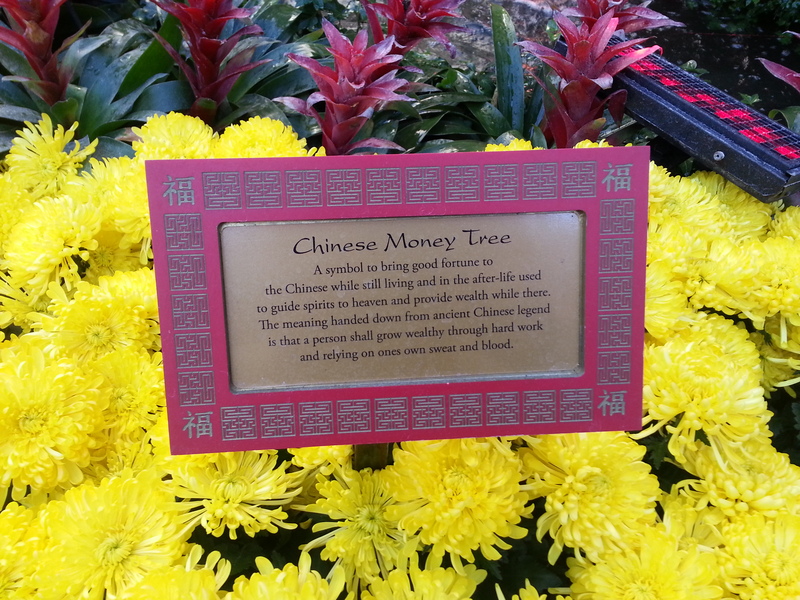 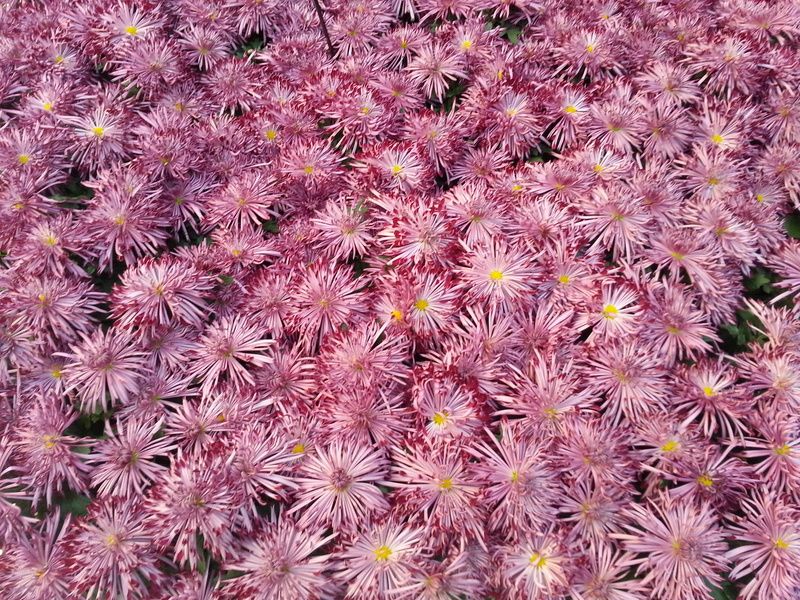 Yet every plant is real–they staff 140 horticulturists. 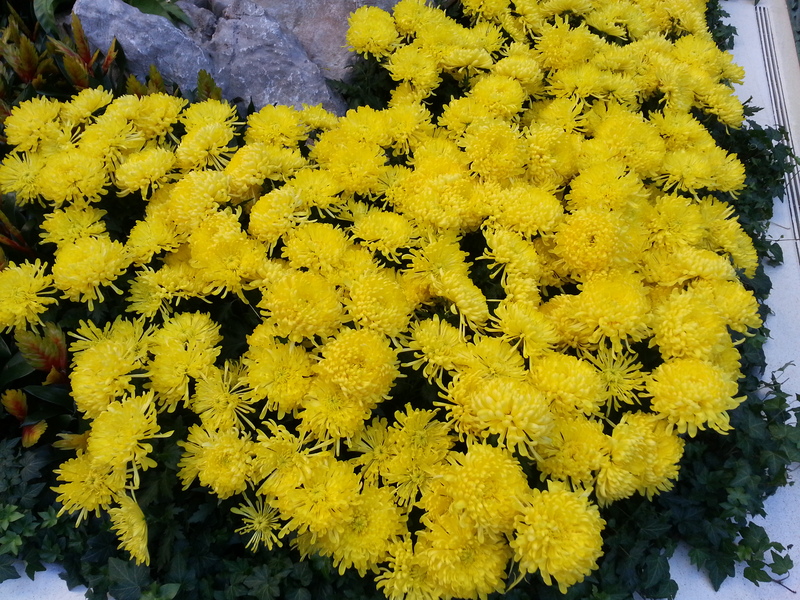 After strolling around for fifteen minutes, breathing in the gardens, I felt energized. 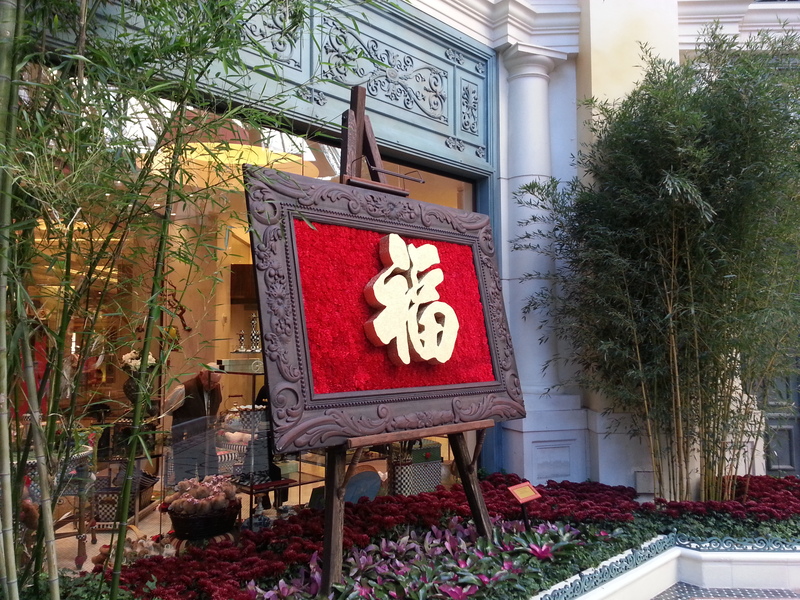 The present theme, Chinese New Year, lasts till March 3rd. 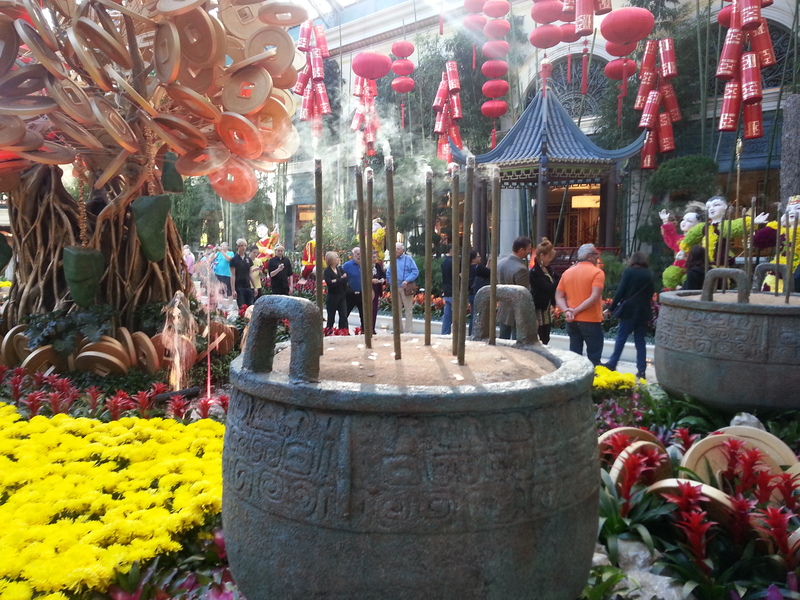 Prepare to be transported to a Chinese festival abound with Asian greenery. 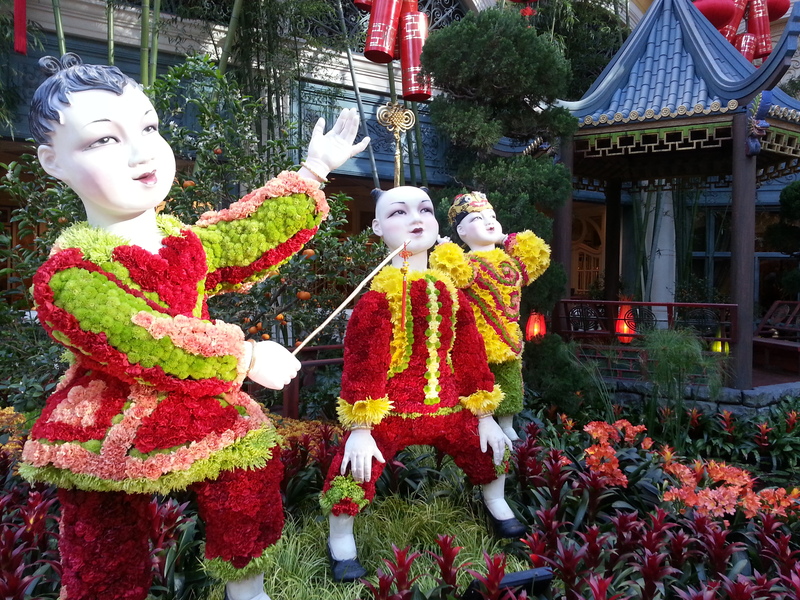 Plus a junk vessel, giant blue-striped snake, tall bamboo stalks, koi fish, and large children-figures that appear to dance while donning coats of vivid flowers. 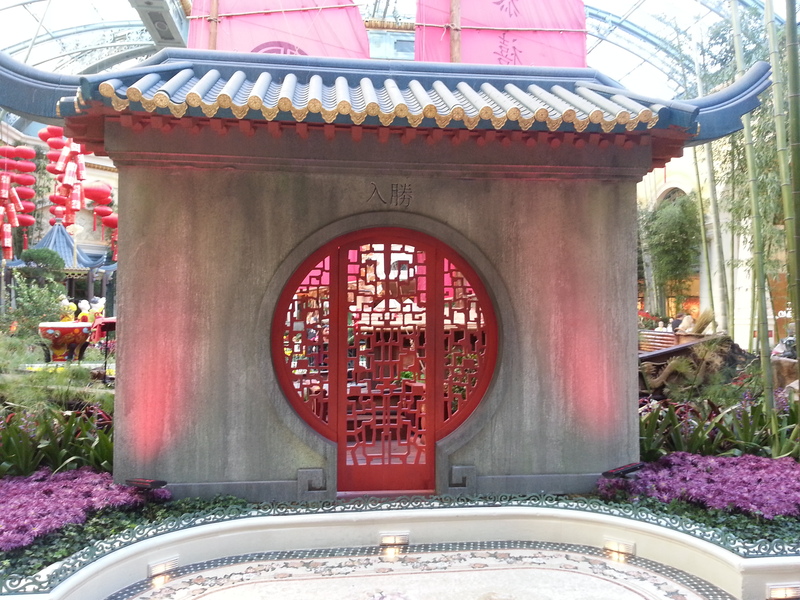 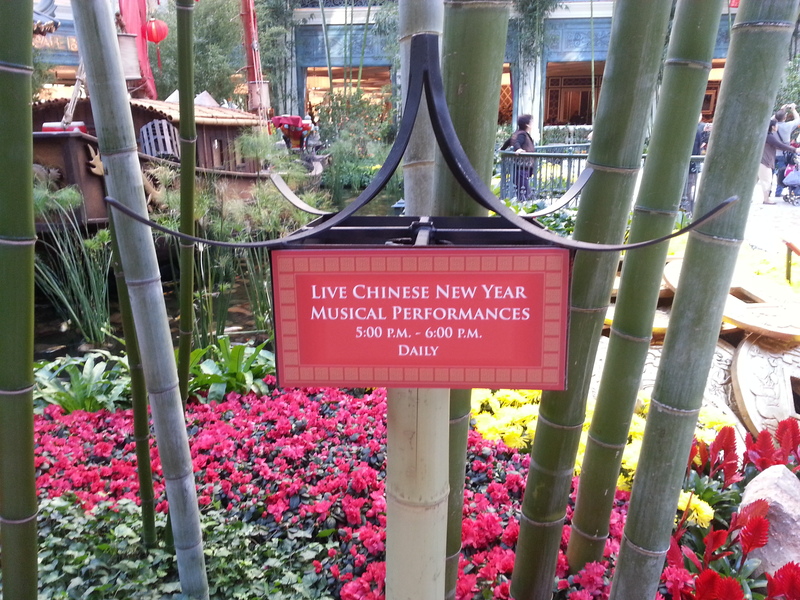 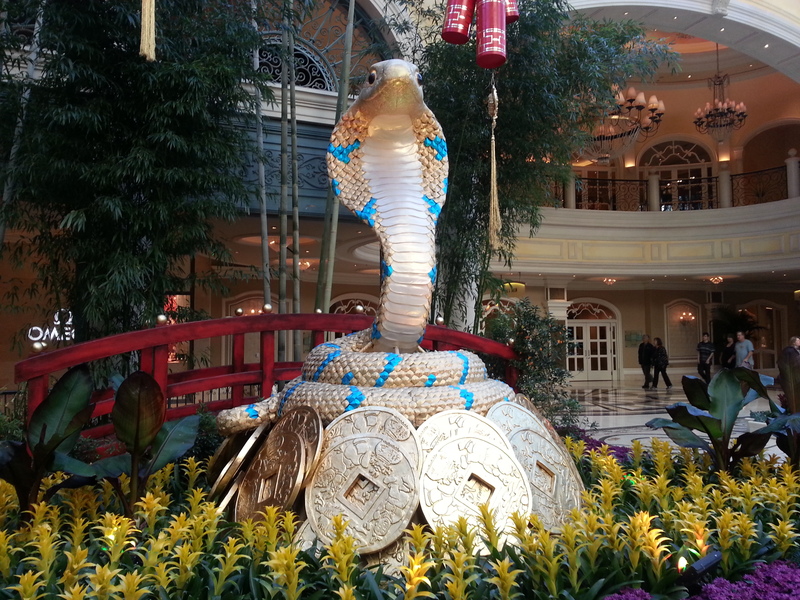 You can listen to live Chinese New Year musical performances from 5pm-6pm daily. 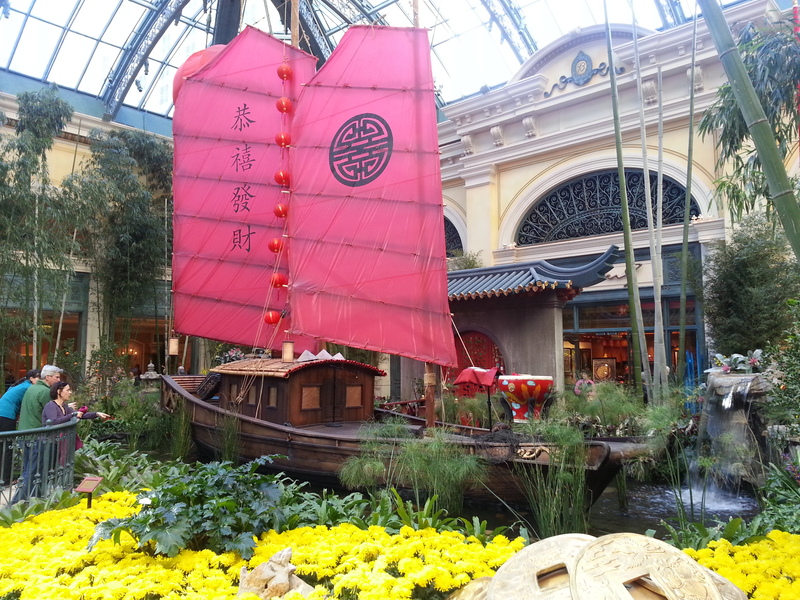 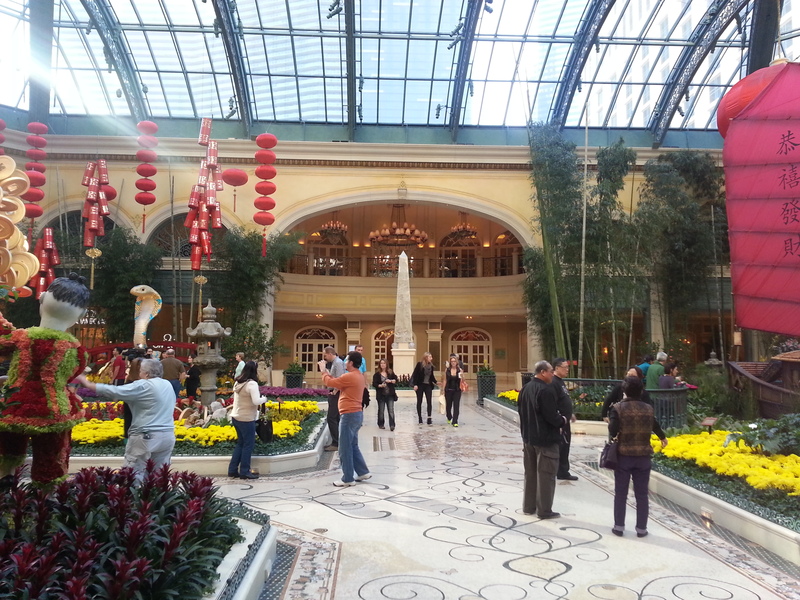 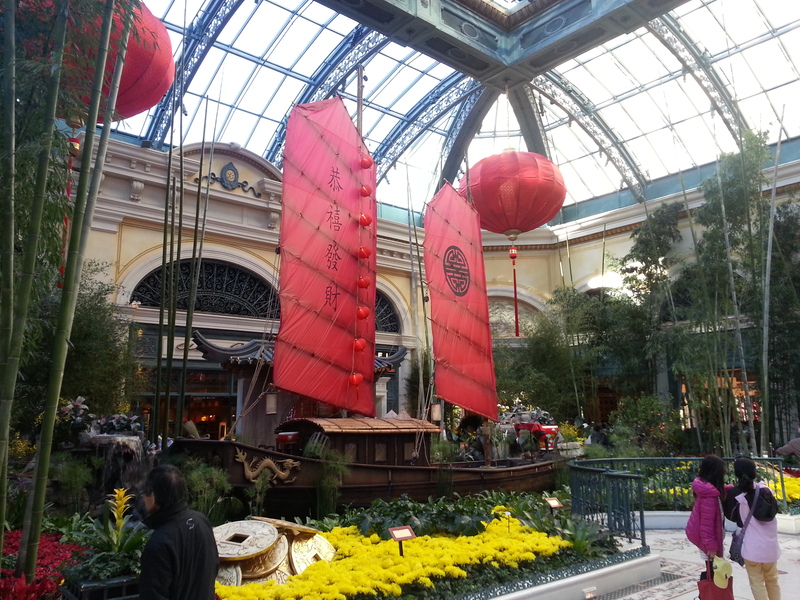 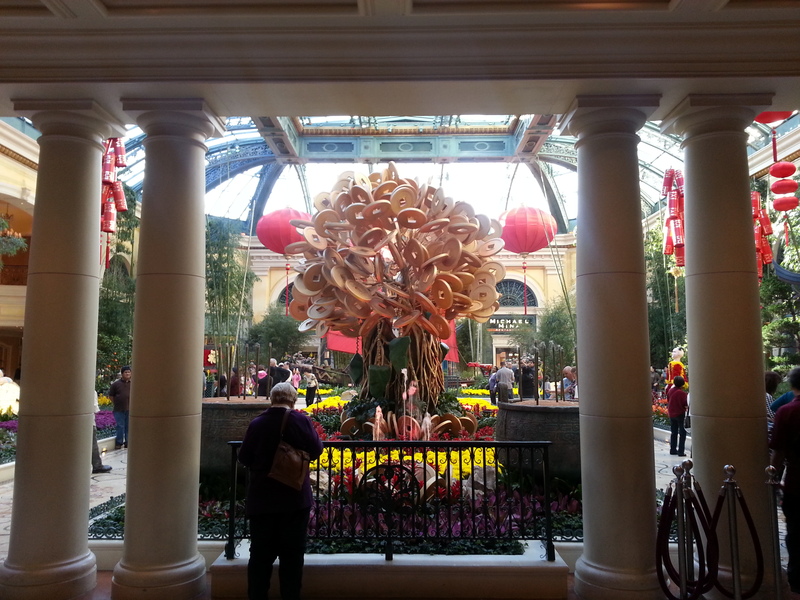 I’ve decided to walk through the Conservatory & Botanical Gardens every time I’m in the Bellagio.